Welcome Lake Jackson Junior Golfers! 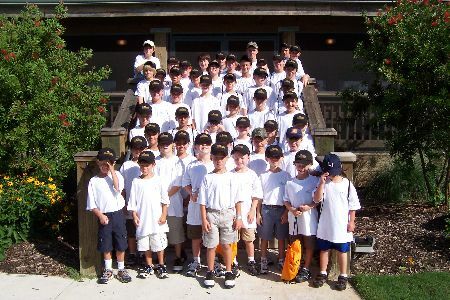 One of the Wilderness’ primary focuses is to promote Junior Golf in our area. We are constantly developing new programs and local tournaments for our future players. The summer will consist of individual lesson programs, junior camps, and fun tournaments such as the STPGA Junior Partnership Tournament and Little Linkster Programs. Our philosophy focuses on the basic fundamentals of the game. Our main focus at camp is “The Short Game.” The short game involves putting, chipping, and short iron shots. Our skilled personnel will help them with drills in each of these areas of performance. As important as the other skills are of the game, The Wilderness will contribute more than just a swing. We will build confidence and golf etiquette; these core values are indispensable to the competitive player. In so many professional sports today, the values that were once important, have taken a back seat to hype, money, and indulgent self-promotion. The game of golf itself promotes honesty, respect, and humility. It has always been called “a gentleman’s game.” It is those values and life lessons that we try to pass along to our juniors, as well as ball striking skills. I am sure that you will able to find something to fit your junior golfers' needs at our facility, and we look forward to increasing your love of the game!